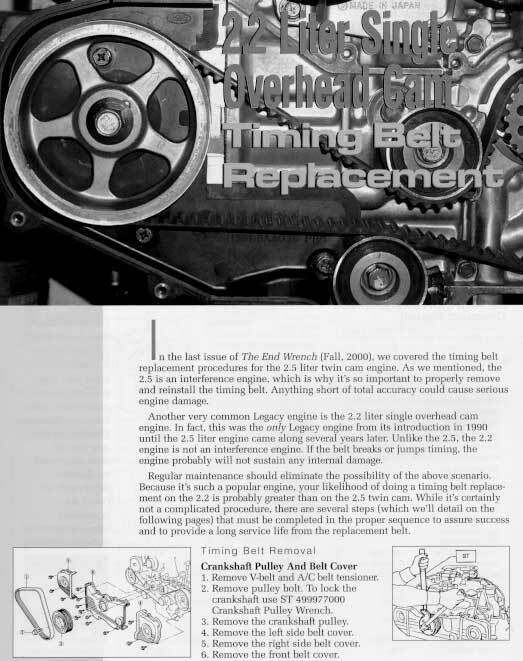 This is a guide featured in a Subaru magazine about changing the Timing Belt on the 2.2L SOHC motor. The scans are a bit hard to read, but i didn't want to type everything in, i'm space limited, and most people still have modems. Thanks go to Jason for sending me this Subaru mag so i could scan it in.